Welcome to Women Only Motorcycle Training (or WOMT for short). 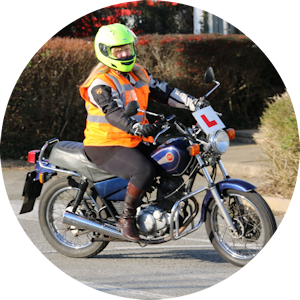 Chances are you’re having a look because you’re a female, wanting to learn to ride or need some professional help and guidance to improve your riding. If you’re not female, don’t worry, click here. 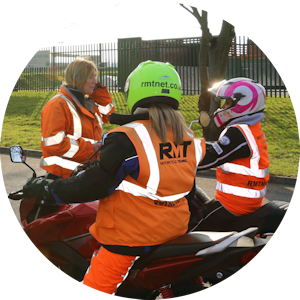 Women Only Motorcycle Training was first devised to help women improve both their skills and confidence. 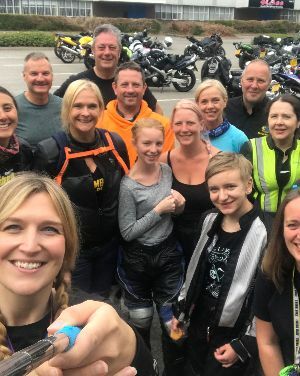 After witnessing a really poor level of riding post-test, we felt strongly that women particularly were being discouraged from riding and even giving up, because they couldn’t ‘keep up’ or found that parking up or slow control too nerve wracking to go out on their own. What surprised us the most, was the poor quality of training that was being given, particularly at learner level. Women have been telling us of their horror stories whilst training and that they nearly stopped their training programme as a result. 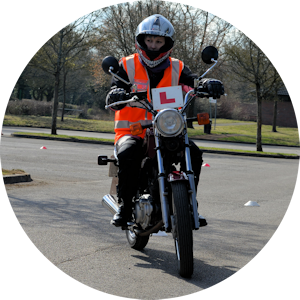 Being shouted at, being made to feel stupid or worse still, being told that they’d be better off doing their CBT on a moped (of course there’s nothing wrong with riding a moped, if that’s what you’ve signed up for), but that’s not right if you’ve signed up to learn to ride a geared bike! 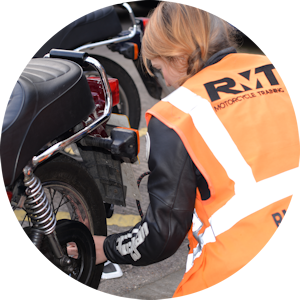 Undoubtedly, not all training schools are like this and there are plenty out there that are excellent; Laura (owner of WOMT) works for RMT Motorcycle Training in Redditch who have been successfully training students since 1996. Here she learned that most people (men and women) put an enormous amount of pressure on themselves to get through their CBT or DAS training. When you ask most people how long they think a CBT should last for, most say a day, or even a few hours. However, if Laura were to ask you how long it would take to learn a new language, would you be able to do that in one day? So why should riding a motorbike be any different? It’s not surprising then, that with all this added pressure, in an alien environment (for most women) we fall at the first hurdle, but not through being incapable, but through pressure, nerves, coordination skills and usually never having ridden before. 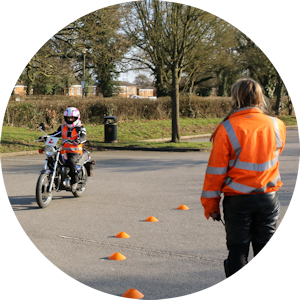 At Women Only Motorcycle Training we do things very differently, recognising that there’s a need for thorough training specifically designed for women who want to learn, but at their own pace. Not everyone is able to complete their CBT in one day, but unfortunately so many schools will get their students through, regardless of whether those skills have been set or not. Setting the foundations for your future riding career is essential and will no doubt make the rest of your training easier and more enjoyable.